A view over Great Tor. 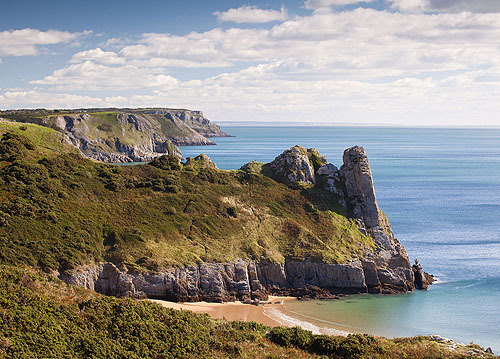 A spectacular Limestone Headland separating the 2 mile long Oxwich Bay from Three Cliffs Bay. Popular with rock climbers, who can often be seen on the vertical rock walls.